250 Million year old crystallized sea protected at a depth of nearly 2Km underground. 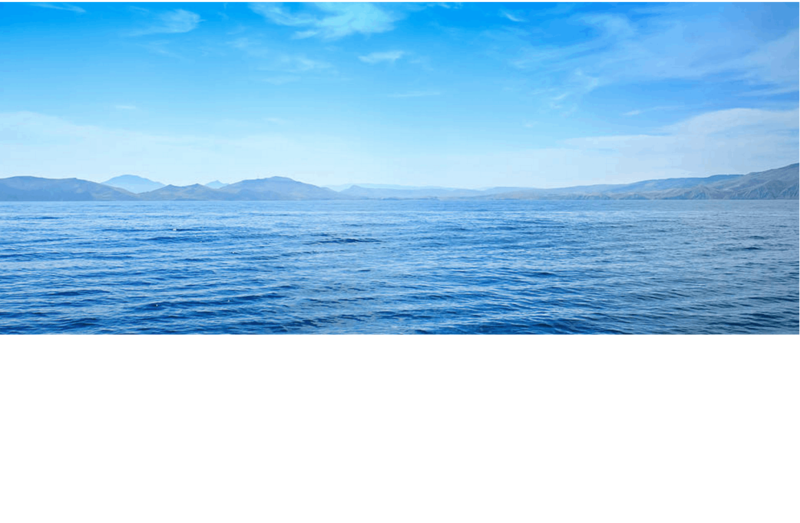 The quality is superior to ocean and spa based minerals compromised by modern pollution. For detoxification and better results, purity is the key factor. We use noble blue protective glass to avoid contamination of endocrine disrupters which leak from soft plastics. We do not recommend using magnesium oils sold in plastic bottles to avoid adverse effects on the hormonal system. Our caps are DEHP, BPA, PVC and phtalate free. 100% Natural. Rare purity yet abundant source. The only natural state "raw" Transdermal Magnésium that has never been refined or chemically "purified" which is the unfortunate industry standard. Anyone may contact our source in the Netherlands to verify the quality and origin. We are unique because we do not chemically treat our products, leaving raw chelation properties intact. 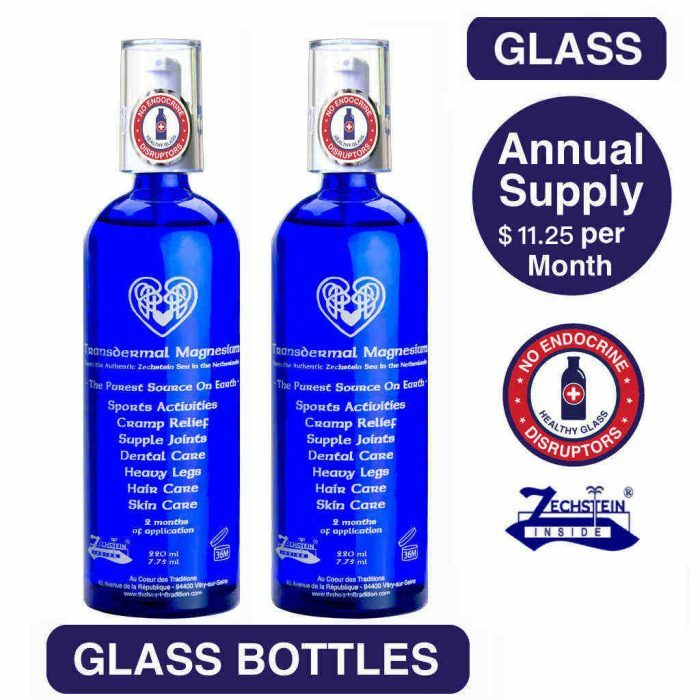 We only use glass bottles, without endocrine disruptors. 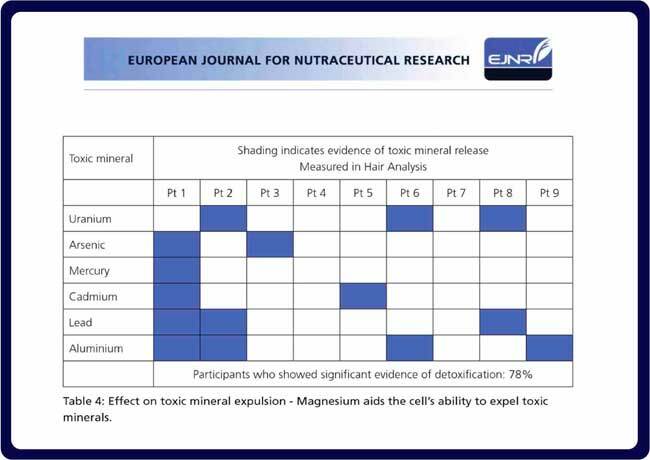 The "Zechstien Inside®" source is the first choice recommended to doctors by the European Magnesium Health Institute. Well known for performance and fatigue for athletes, also cramps, pains, skin, detox, cellulite, dental care and more. The "Zechstein Inside" certification is essential because many claim "Genuine" or "Authentic" Zechstein using chemically purified, low quality products with self-created, off-site certification schemes. Zechstein Inside certified products are superior products because they have never been chemically purified. We let nature do that! For the whole family. The “Zechstein Inside®” is the first choice recommended to doctors by the European Magnesium Health Institute. Well known for performance and fatigue for athletes, also for cramps, pains, skin care, cellulite, dental care and more. Do I need magnesium ? Answer our questionnaire. 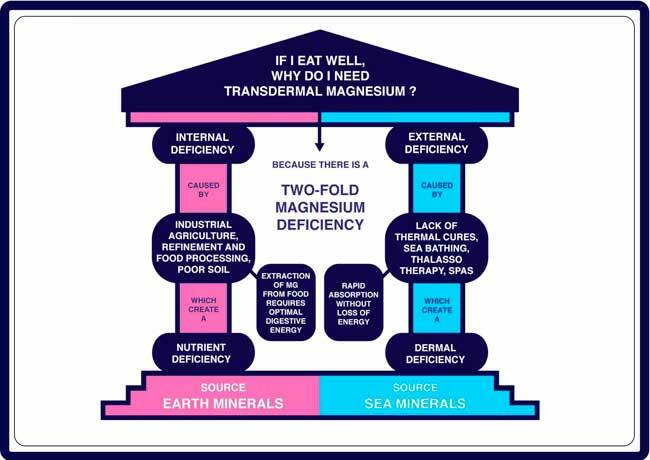 You will find below a list of questions, each checked box may signal a magnesium deficiency. This deficiency affects on average 75 to 90% (depending on age) of the world population. • Do you suffer from unexplained fatigue during the day? • Do you often feel stressed and anxious for no particular reason? • Do you have depressive feelings, even mild? • Have you noticed any difficulties with concentration and anchoring? • Do you have difficulty falling asleep? Do you wake up often at night? • Do you regularly suffer from cramps? • Do you have intestinal transit problems? Are your intestines «lazy»? • Do you have eyelid spasms? • Do you have dif culty with (slow) wound healing? • Do you occasionally have heart palpitations or a knot in the throat? • Is your hair fragile and breaking? 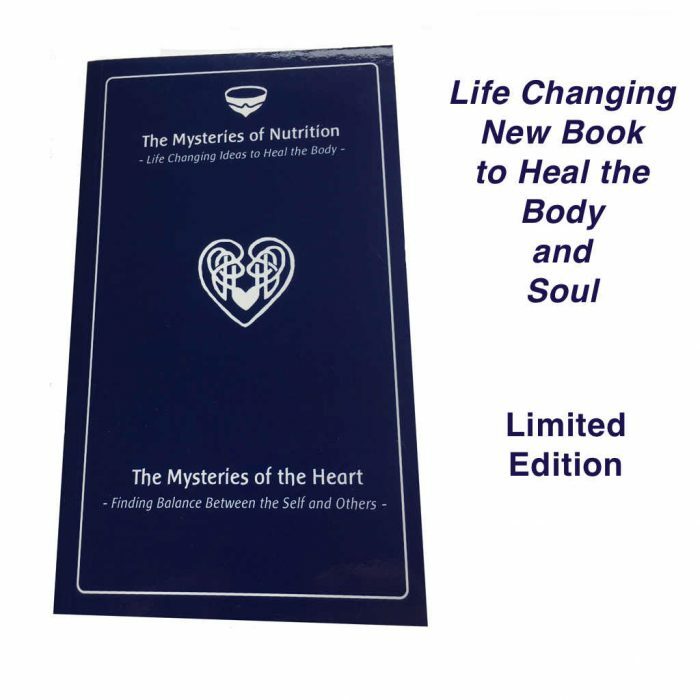 • Do you suffer from metabolic problems? • Do you eat a daily diet rich in refined starchy foods and sugars (pasta, bread, rice, sweets, sodas, etc.)? • Is it difficult for you to do without stimulants such as coffee (caffeine), tea (theine), chocolate (theobromine) or other enriched drinks or sodas during the day? • Are you taking the pill? • Do you suffer from muscular or joint pains related to regular or intensive sports practice? • Are you more than 30 years old (magnesium deficiency increases after 30 years)? • Are you taking blood pressure medication? • Are you diabetic, or do you suffer from moments of tiredness related to hypoglycemic, blood sugar spiking? Why does molecular purity matter? Magnesium is responsible for hundreds of vital functions in the body. One major role it plays is to heal the nervous system, but there are also many studies on magnesium’s role in chelation. Magnesium chelates toxins, heavy metals and even EDCs (endocrine disrupting chemicals). These toxins are then excreted through transpiration, among other channels. There are many studies on magnesium and chelation, and concomitantly, its role in detoxification. When the magnesium is pure and unrefined it retains 100% of its chelation properties. Being molecularly unencumbered by other elements it is “stickier”, meaning it can chelate toxins better at the cellular level. Cramps, for example, come from toxins in the tissues that are finally removed by the magnesium chelation and Mg/Potassium pump system. 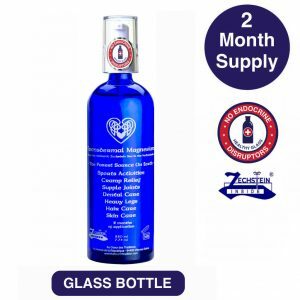 So pure magnesium in pure glass, keeps our magnesium active, uncontaminated and ready to assist in removing toxins from the body. On top of that, it addresses magnesium deficiency as well. Double effect! Why do glass containers matter? • Alteration in the functioning of the thyroid. The softer the plastic, the more potential it has to leach into the final product. User-end packaging is always made from soft-plastics. These plastics come into contact with the product and can contaminate the product, making it less effective in removing these same endocrine disrupting chemicals from the body, which is an important part of why we detox in the first place. Perfection may not be possible here in our polluted world but, as these toxins are cumulative, we seek to reduce as much as possible our daily exposure. Plastic compounds come into contact with heat, halogen lighting radiation and oxygen, all of which degrade the plastic compounds. Not only on the shelf but as we use them. Many suppliers of food grade olive oils, to pick one example, which ship in large hard-plastic tubs have begun to realize that hermetically sealed, zero-oxygen hard-plastic tubs, which are only used for 1 to 2 week-long boat transport, can reduce greatly any leaching effect caused by transport. If they were to then pour this same olive oil into user-end soft plastics exposing all of the surface area of the oil to plastic which will itself be exposed to halogen radiation, heat and oxygen, they would successfully contaminate their products, more than quadrupling the exposure and thus the rate of leaching. That is why they use glass bottles for quality olive oil. Glass is healthy and is making a comeback! It is also 100% recyclable and therefore the most ecological and aesthetic choice. Our products are directly from the original European source in Veendam, Holland. 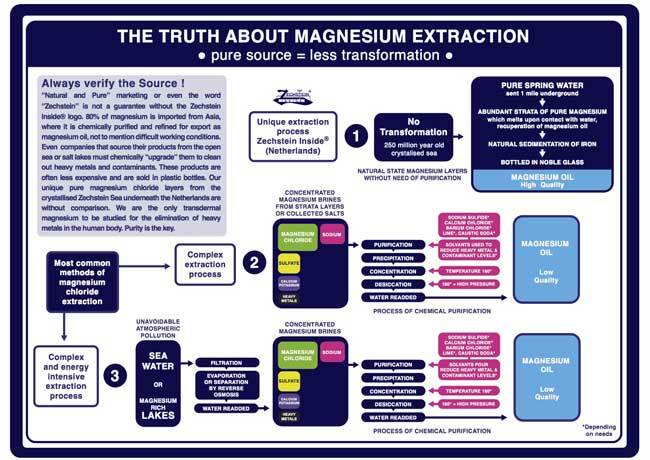 Most brands will never tell you the actual location, or city where they obtain their magnesium, as 80% of magnesium extraction is done in Asia (China, Tibet, Mongolia) and is re-marketed to hide this fact using self-certified, off-site certificates. The term ‘Zechstein’ cannot be protected by law. Only the trademark Zechstein Inside® can guarantee the origin and purity. 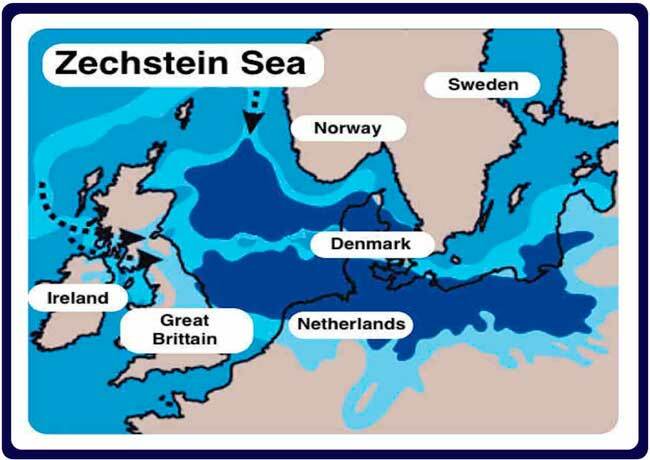 We are the #1 Doctor recommended source in Europe, the home of the Zechstein Sea. Our products are sold in over 1000 stores in France and Switzerland. We use maximum concentration, which gives the product a molecular weight which increases absorption. Many brands dilute their products without telling you. We use only 100% unrefined Zechstein Inside ® raw-state magnesium oil. We do not cut our magnesium with cheaper processed magnesium. Many brands mix low-quality and high-quality magnesium together to save money yet retain their marketing claims. This ‘mixing’ changes the product significantly. The majority use a generic magnesium chloride which is chemically treated with solvents. 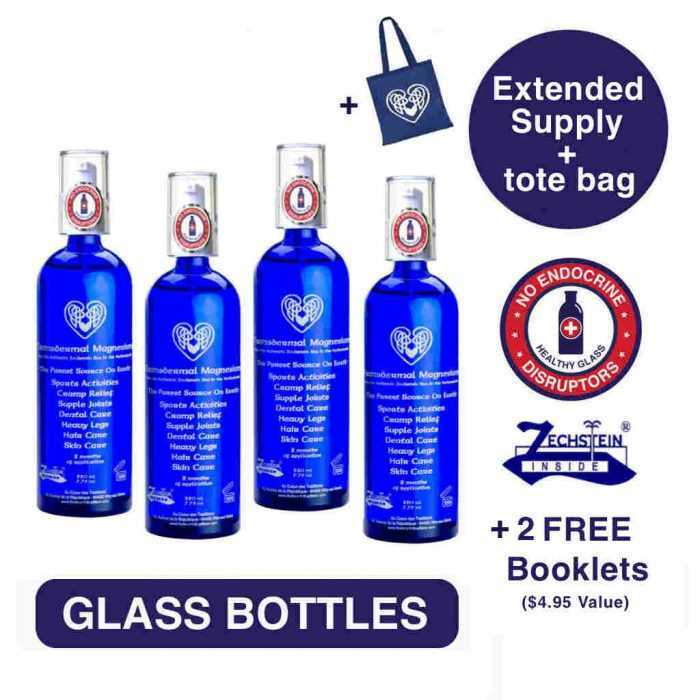 We use original blue HEALTHY GLASS bottles. 95% of the market uses soft plastic containers which leak endocrine disrupters (BPA and the newly discovered danger BPS) into the final product all the while polluting the environment. Our caps are BPA, DEHP, PVC and phtalate-free. We do not refine, upgrade or chemically purify our magnesium. 100% RAW state. Magnesium flakes are a secondary product which are created by heating the raw oil to over 300 degrees, creating hydrochloric acid in the process. And although they may be a good addition to bath water for light detoxification, they cannot substitute for the primary product. A high percentage of brands use derivative magnesium from potassium mining operations and most chemically treat with solvents to purify contaminants before sale. We let nature purify our products over 250 million years. The softer the plastic, the more potential it has to leach into the final product. User-end packaging is always made from soft-plastics. These plastics come into contact with the product and can contaminate the product, making it less effective in removing these same endocrine disrupting chemicals from the body, which is an important part of why we detox in the first place. Perfection may not be possible here in our polluted world but, as these toxins are cumulative, we seek to reduce, as much as possible, our daily exposure. Plastic compounds come into contact with heat, halogen lighting radiation and oxygen, all of which degrade the plastic compounds, not only on the shelf but, as we use them, oxygen interacts with the plastic. Just because we don’t see something, doesn’t mean that it isn’t there. Many suppliers of food grade olive oils, to pick one example, which ship in large hard-plastic tubs have begun to realize that hermetically sealed, zero-oxygen hard-plastic tubs, which are only used for 1 to 2 week-long boat transport, can reduce greatly any leaching effect caused by transport. If they were to then pour this same olive oil into user-end soft plastics exposing all of the surface area of the oil to plastic which will itself be exposed to halogen radiation, heat and oxygen, they would successfully contaminate their products, at least doubling or tripling the exposure and thus the rate of leaching. That is why they use glass bottles for quality olive oil. Glass is healthy and is making a comeback! It is also 100% recyclable and therefore the most ecological and aesthetic choice. European “Certificate of Origin” (Netherlands). Guaranteed traceability. A truly controlled certificate of origin is an essential document but nothing is comparable to the fact that you can contact the source directly to check the quality and the origin. Unique source the world over. Our products do not come from the open and polluted seas. They are not exposed to the plethora of chemicals, radioactivity or pollution of our modern oceans. Even thalassotherapies, natural thermal baths and spa waters are tainted to some degree unfortunately. Originating from an ancient sea, this geological stratum of pure magnesium chloride in the form of pure bischofite layers, which are rare at this level of purity, yet found in abundance underneath the Netherlands, date back 250 million years, without any contamination from the outside. Ecological extraction by solution using only natural local spring water to dissolve the pure magnesium chloride salt layers. No need to separate the magnesium from other components, as is the case for all other sources, because the stratum is pure magnesium chloride. Local spring water is also analyzed to ensure its purity. 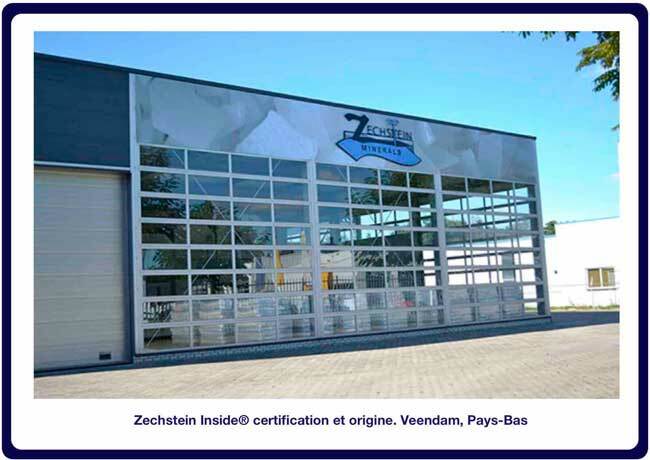 Certified by Zechstein Inside® (Netherlands). Total transparency. Just call the source in the Netherlands. No transformation or refining. 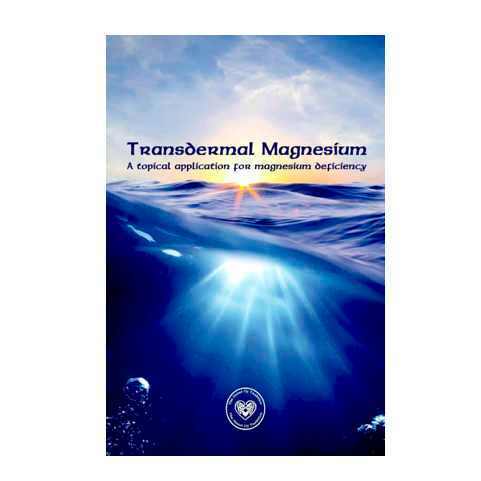 We let nature filter, clean and purify the crystals of magnesium for us over 250 million years. Be attentive : Always be vigilant as to the mode of extraction of magnesium. Words such as “unrefined” or “pure” can be empty phrases. The truth is that chemical purification and “upgrading” (for the separation of potassium and heavy metals) are the established practice in the industry. 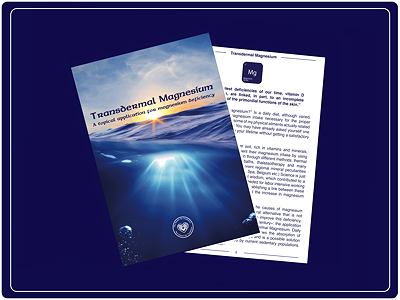 The word “Zechstein” cannot be legally protected and is often used to eclipse the true origin of the product, which is not the case for the Transdermal Magnesium certified “Zechstein Inside®”. Without the “Zechstein Inside®” logo, chemical purification is the norm. Our extraction is unique in the world. Words such as “Genuine” or “Authentic“ Zechstein without the “Zechstein Inside” logo may be using the word Zechstein abusively. Ask if you can call their actual source (extraction site). Some areas of the Zechstein Sea have been used for potassium mining, and they have industrial magnesium as a byproduct. We do not recommend these products as they have been chemically purified or “upgraded” to remove heavy metals and other minerals and do not come from pure natural state magnesium layers. Source protected 1 mile underground. 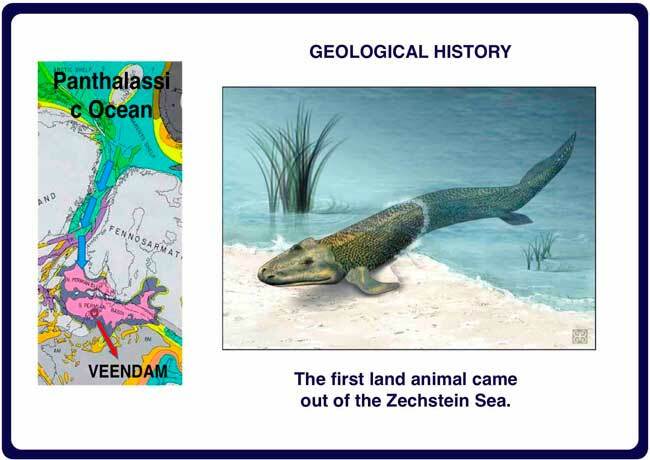 The sea has crystallised into a soft stone, an abundant geological stratum, an ancient sea of 250,000 years, the Zechstein Sea. A unique story. “White Gold” underneath the feet of Europe. Far removed from all atmospheric pollution. Zechstein is known for its molecular purity by comparison, line by line, with other forms of magnesium on the market. And it is the only one to be studied scientifically for the elimination of heavy metals in the human body (EJNR, Joslin / Watkins). 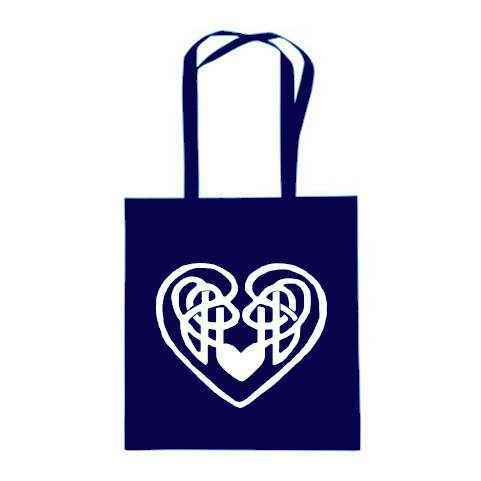 Always sold in noble blue glass, without phthalates or endocrine disrupters found in soft plastics. Our pumps are guaranteed without bisphenols, BPA, DEHP, or PVC. The only way to avoid the contamination of phthalates is to buy glass bottles. Surface area of 1 million km2. More than 1000 years of pure magnesium for the World.